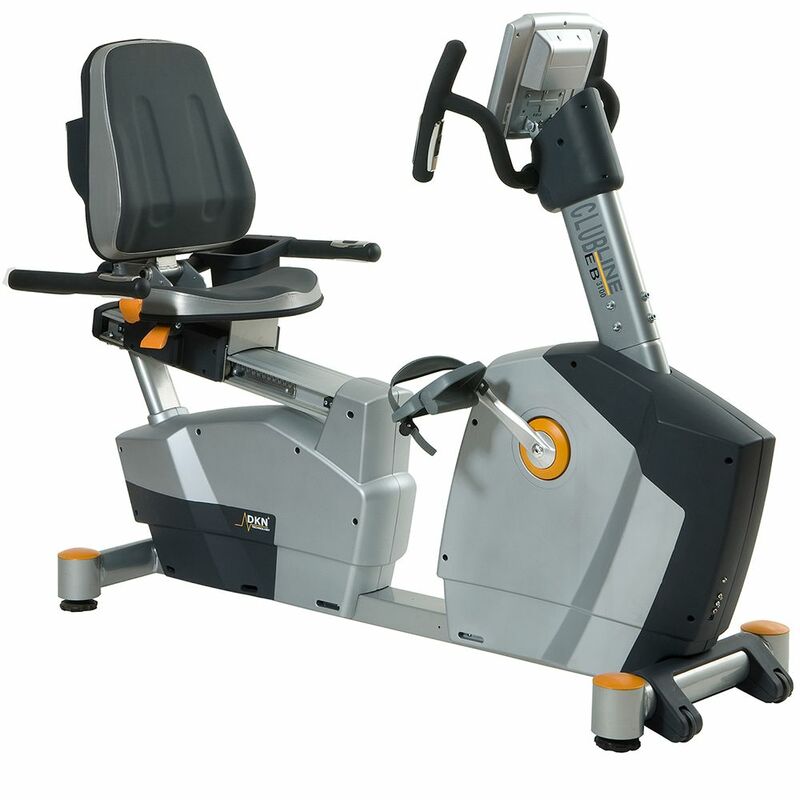 The DKN EB-3100i recumbent exercise bike ensures smooth operation thanks to the 14kg (30.8lbs) flywheel and offers 32 computer controlled resistance levels to let you adjust the intensity of each workout. The machine features a multifunctional colour LCD display providing constant feedback on the key workout data and has 4 user profiles and a selection of 15 challenging programmes to keep you motivated. 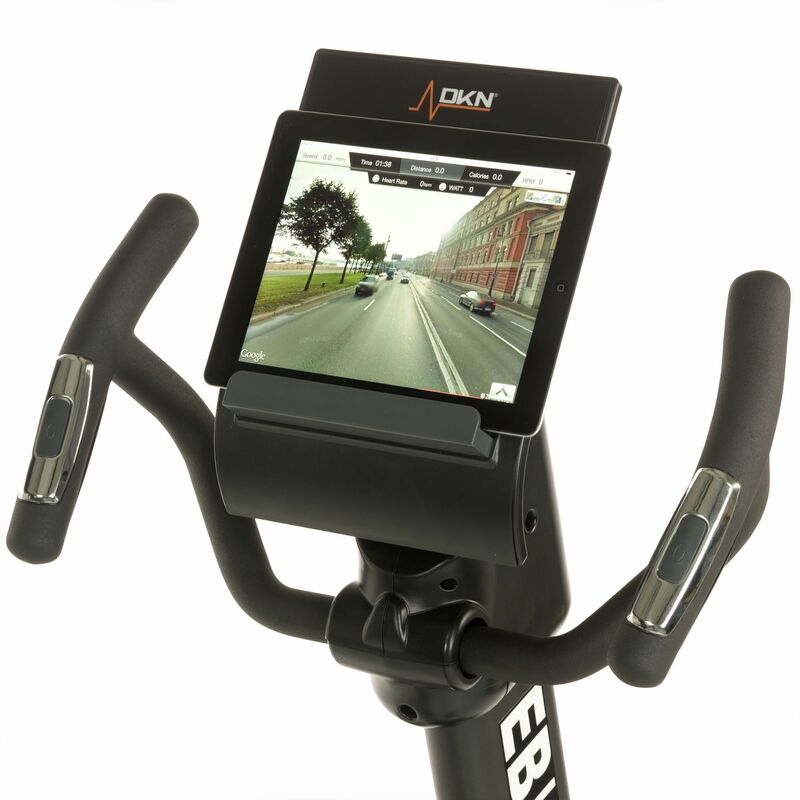 The EB-3100i is compatible with the DKN iWorld and DKN Motion to deliver countless possibilities of interactive workouts. It allows for measuring heart rate with the hand pulse sensors or a wireless receiver with an optional chest strap. Simply brilliant. Worth every penny. This feels like one of the bikes in my gym but with ipad extras! I was advised by my physio to purchase a recumbent because they're a lot lower impact on the joints than an upright. I've had a lot of issues with my ankles but wanted to keep exercising. The EB-3100i is a fantastic choice for myself and I'm over the moon with it so far. The installation team were so helpful and got me all set up in record time! I use the bike nearly every day and I'm still getting to grips with all the different workout programmes. I have now connected my iPad and using the iWorld app is great fun. Would recommend this bike to anyone who's serious about getting fit but needs a recumbent for joint related issues. for submitting product review about DKN EB-3100i Recumbent Exercise Bike.